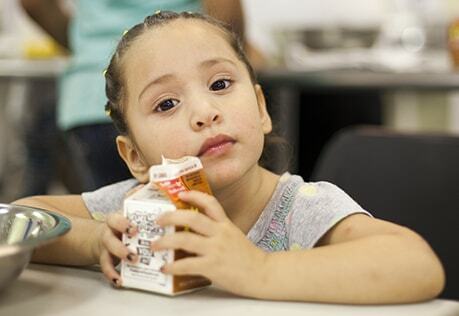 Every $1 you give can help provide at least 10 meals to families in need through the Feeding America network of food banks. We need your help getting your friends and family involved in our fight. A personal fundraiser is an easy and effective way to take on hunger together. You can remember and honor someone special by making a gift to Feeding America in their name. In their memory, help feed more people. Be a part of our future by including Feeding America in your estate plans. Your legacy can help support our shared vision of a hunger-free America. Choose an unconventional present for a loved one; give the gift of nourishing food to families across the country. Start shopping today with our gift catalog. Donating stocks and mutual fund shares is simple and offers you valuable financial benefits including being tax-deductible. If you prefer to make your contribution to the fight against hunger offline, we have multiple options available. Your employer and coworkers can join you in ending hunger. There are multiple ways to get involved through workplace giving, including payroll deductions. The efforts and generosity of our partners and their corporate giving initiatives have significantly enhanced Feeding America's hunger-relief efforts. Food drives have always been a great way for compassionate people to help their neighbors. Make sure you are organized for success by working with your local food bank. From how do you get a receipt for your donation to how your donation will be used, we have answers for your frequently asked donation questions.